Friedrich List was a prominent German-American economist, credited with founding the National System of Innovation. List was a firm believer in the implementation of tariffs, as he felt this was the best way to obtain economic growth in Germany. List was born on 6th August, 1789, in Reutlingen, Germany. In 1817, List got a job at the University of Tubingen in the capacity of a professor, teaching political economy. He also served as the editor of a number of periodicals at the institute during that time. In 1819 however, he became the leader of the General Association of German Manufacturers and Merchants, which provided him with the platform to express his liberal and political views. His movement for the abolition of internal customs barriers and tariffs eventually proved to be his undoing, as he was imprisoned for organizing such a scheme and undermining the authority governmental institutions. List escaped the country in 1822 as a result, only to return back in 1824 to be arrested again. However, he was soon released in 1825 on the condition that he would be exiled, and List moved to the United States as a consequence. List decided to pursue journalism upon his arrival to the States and managed to become editor of a newspaper in Reading, Pennsylvania, which published articles in German. In 1827, he published on of his first works, Outlines of American Political Economy, in which he made his case for protectionism. List argued that an economy at the rudimentary phase of industrialization needs the protection of its government from foreign producers who could offer the people cheaper goods. The resulting costs of employing such a protectionist strategy, List asserted, should be treated as an investment in the nation’s future productivity. After extending support to Andrew Jackson in his election campaign in 1832, list was made American consul in Germany. He served the office in both Hamburg and Leipzig. One of List’s major projects during his tenure as consul was the development of the rail road network between Leipzig and Dresden in 1837. The venture turned out to be a successful one, but strained List’s personal finances. As a result, List retreated to Paris in disappointment. In the six years that followed, List operated a journalist in Paris and also published his work “Le systeme naturel de 1’economie politique”. In 1841 though, List published his most famous book, The National System of Political Economy. He critiqued the free market doctrines that featured the teachings of Classical economics and took an opposing view in this book. He also suggested that the government was responsible for nurturing the productive resources of its country, thus free trade could not prevail. He claimed that once domestic producers were established enough, only then could the government allow for free trade. List believed that only Great Britain was at the final stages of its economic development, and that its cheap exports were hindering the growth of domestic manufacturers in countries at earlier stages of development. He thus claimed that it would be impossible, or perhaps unfair, for international competition to exist there wasn’t a level playing field for all countries. On these ideas, List declared that barriers to trade were necessary for Germany to empower local manufacturers and thereby achieve sustained economic growth. 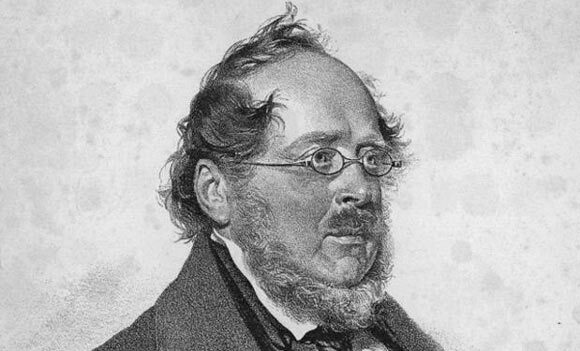 Friedrich List’s final years were characterized by ill-head which saw him decline offers to edit journals and fail in some of his political ventures. He was also plagued by financial difficulties during this time, prompting him to commit suicide on 30th November 1846.